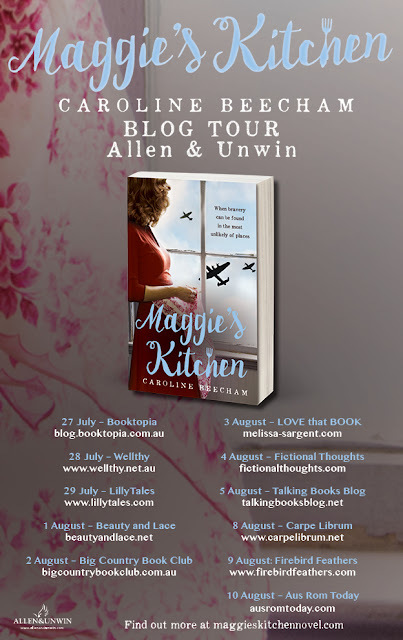 Today I'm participating in the Maggie's Kitchen blog tour thanks to Allen & Unwin. I'm sharing a recipe straight from Maggie’s Kitchen by Australian author Caroline Beecham so I hope you enjoy it. Looks delicious doesn't it? The combination of oatmeal and vegetables is what makes this dish one of the most significant from the Second World War; both foods were home-grown and both full of nutrition. Oatmeal was added to many dishes because it increased the food’s nutritional value and made it go further. 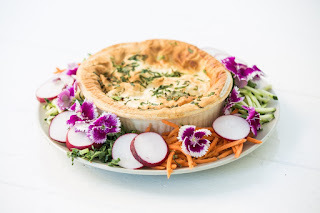 The basic Woolton pie would only have contained potatoes, swedes, carrots, leeks, cauliflower or whatever was in season, but here sweet potato and broccoli are used for extra flavour, although you can use any combination of your most-loved vegetables. Place vegetables, vegetable extract and oatmeal in a saucepan and cover with water. Simmer gently for 10 minutes, stirring occasionally. Season to taste. 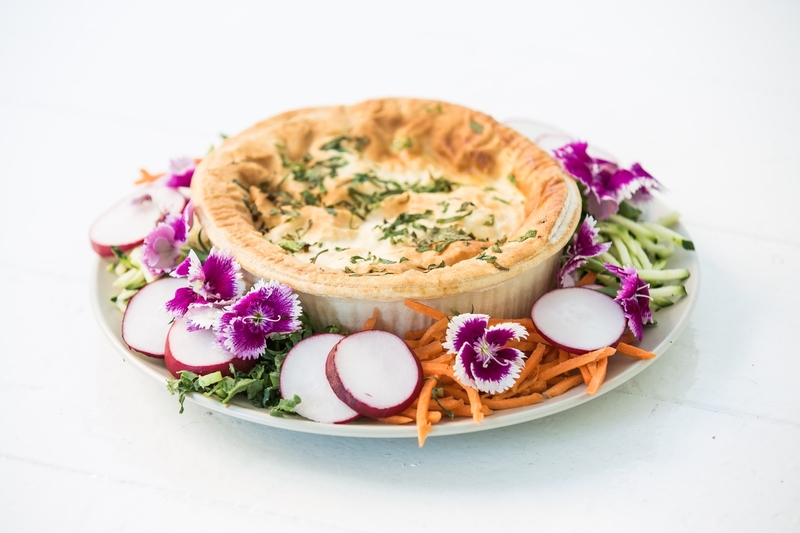 Allow to cool and then place in a pie dish, sprinkle with parsley then cover with potatoes or pastry crust and cheese. Bake until topping is browned and serve with steaming hot gravy. Serves 4–6. When the Ministry of Food urgently calls for the opening of British Restaurants to feed tired and hungry Londoners during the Second World War, Maggie Johnson is close to realising a long-held dream. 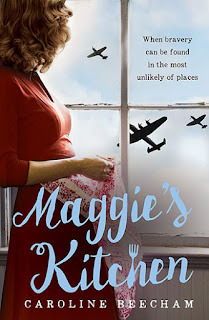 But after struggling through government red-tape and triumphantly opening its doors, Maggie's Kitchen soon encounters a most unexpected problem. Her restaurant has become so popular with London's exhausted workers, that Maggie simply can't get enough supplies to keep up with demand for food, without breaking some of the rules. With the support of locals, and the help of twelve-year-old Robbie, a street urchin, and Janek, a Polish refugee dreaming of returning to his native land, the resourceful Maggie evades the first threats of closure from the Ministry. As she fights to keep her beloved Kitchen open, Maggie also tries desperately to reunite Robbie with his missing father, as well as manage her own family's expectations. Ultimately, she can no longer ignore the unacknowledged hopes of her own heart, and the discovery that some secrets have the power to change everything. I've linked your post and the blog tour for this book to our post about Caroline. Thanks for the comment and the link. The pie does look delicious doesn't it? But I can't claim credit, mine could never look that good.